No matter how much effectively eBook conversion and formatting processes are carried out, if the cover design fails to reach professional standards, the negative impact on sales can be really huge. It’s the cover design that makes people curious and interested to explore more. Just think of your eBook browsing habits in Amazon. You will surely realize that you clicked more on the image of book cover rather than the title appearing next to it. 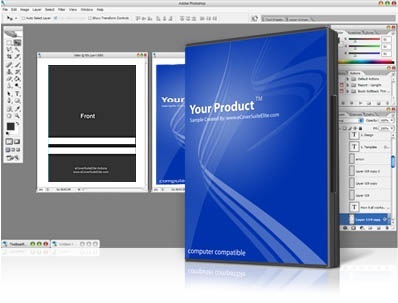 A typical company offering ebook cover design services understands and respects this fact. For making the cover design attractive and professional, they take care of the undermentioned elements. The company offering eBook conversion and formatting services starts with analyzing your brand image. They choose the titles, fonts, images and background for the cover accordingly. This strategy will help you to be presented as an expert in the concerned domain. It is obvious that the title must be easily readable and clear. The professionals make the title with a different colour so that it easily gets distinct from the background. Using a dark colour behind light colour or vice-versa will serve the purpose. In case the title strains to be seen clearly, adding effects such as drop shadow is a nice idea. You can also make the title using a bold font and in the larger size. Perhaps you may be needing a plain background for the cover page when the actual concept of a book is considered. But a company indulged in pdf to eBook conversion know that the covers really need to be more sparking for grabbing the required attention in a web world. They make the artwork and images at least 300 dpi and do customization as required. Whenever you are in a bookstore, note the images that draw you closer to them and the designs that repel you. Create a note of the books having titles that enticed you. Once the list grows you will see a certain pattern emerging which would help you to identify your actual taste. This can be communicated to a professional offering eBook cover design services or else you may try to design the cover yourself if you are capable enough. While you are wondering how to create a professional eBook cover, you may come across various websites selling templates with the claim of making the whole things easier and cheaper for you. Yes, the claim is genuine and you get the things done without incurring much costs or efforts. However, your ultimate aim is to get maximum sales and this fact has to be kept in mind. When you rely on templates, your book never has the option to stand separated from other books. People may have already seen many covers like that of yours. And when people see nothing unique, they are simply turned off. So, it genuinely makes sense to seek assistance from experts for creative cover page design. The most important upside of professional service providers is that they stay updated about the changing trends of digital readers. This helps them to proceed in such a way so as to meet the expectations of the prospects.